Providing courteous and friendly help just when you need it, our dedicated and competent employees have a combined 100 plus years of knowledge and experience in remanufacturing quality parts. At our shop, we utilize the latest state-of-the-art testing available. All units are rebuilt to the highest quality standard and using high quality proven parts. Rebuild and return service will be quoted a price before work is performed. Battery: Check for faulty or weak battery. Battery must be secured tight inside the battery holder. Fully Charged Battery: Make sure that the battery is putting out 12.6 volts and is fully charged. Load test battery to ensure it will hold charge. Correct Battery: Make sure you are installing the correct battery for the vehicle with the necessary cold cranking amps. Battery Cables: Check for proper connections, corrosion and wear. Cables can be tested by verifying the voltage drop doesn't exceed 1/2 volt from end to end. Belts: Check belts for cracks, polished wear and alignment. Belt Tensioners: Check for proper tension and for binding. Remember: Do not jump-start another vehicle while the battery is still connected to the electrical system. Remember: Never remove the battery cable while the engine is running to check charging system. 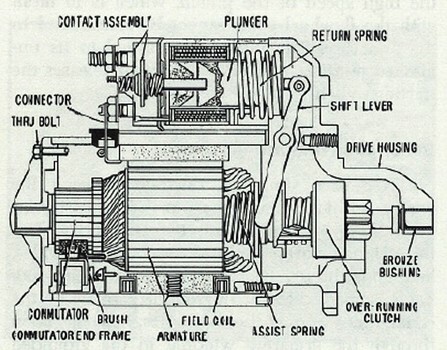 This will cause damage to the alternator and computer system. 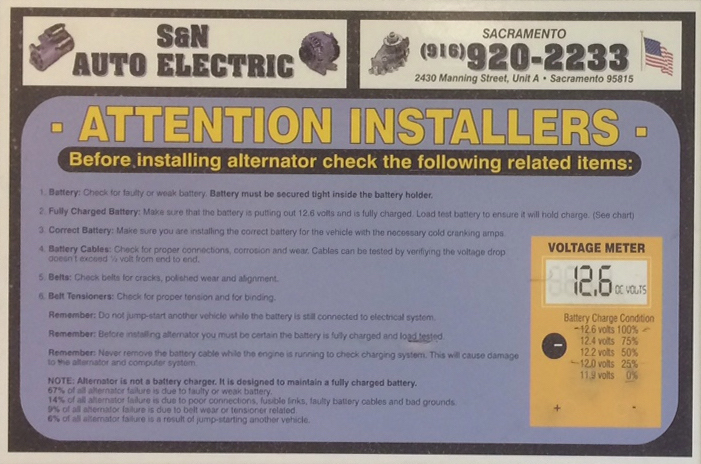 NOTE: Alternator is not a battery charger. It is designed to maintain a fully charged battery. 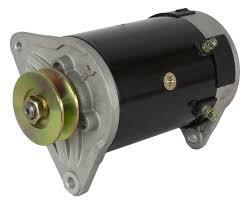 67% of all alternator failure is due to faulty or weak battery. 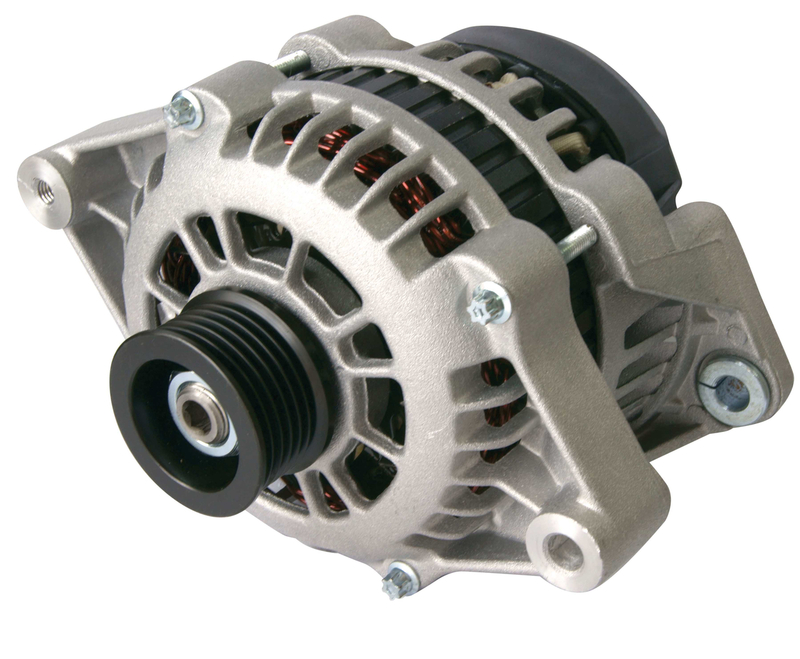 14% of all alternator failure is due to poor connections, fusible links, faulty battery cables and bad grounds. 9% of all alternator failure is due to belt wear or tensioner related. 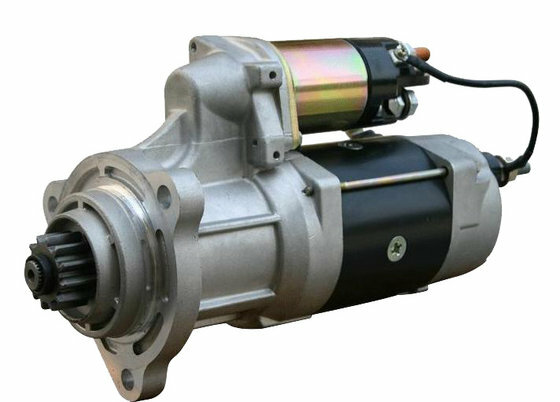 6% of all alternator failure is a result of jump-starting another vehicle. 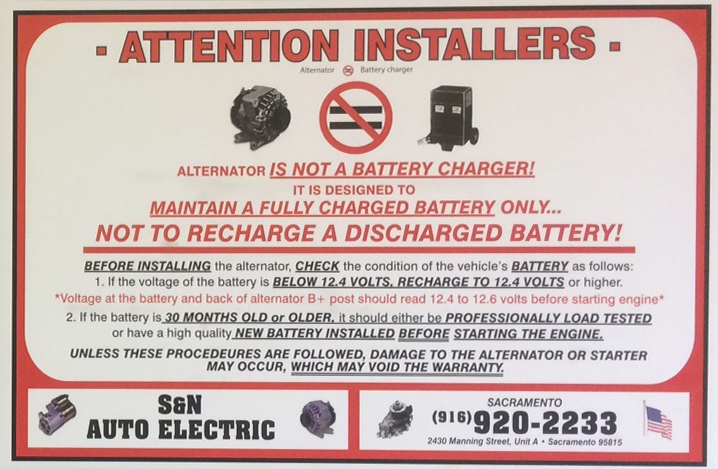 Alternator IS NOT A BATTERY CHARGER! 1. If the voltage of the battery is BELOW 12.4 VOLTS, RECHARGE TO 12.4 VOLTS or higher. or have a high quality NEW BATTERY INSTALLED BEFORE STARTING THE ENGINE. UNLESS THESE PROCEDURES ARE FOLLOWED, DAMAGE TO THE ALTERNATOR OR STARTER MAY OCCUR, WHICH MAY VOID WARRANTY.